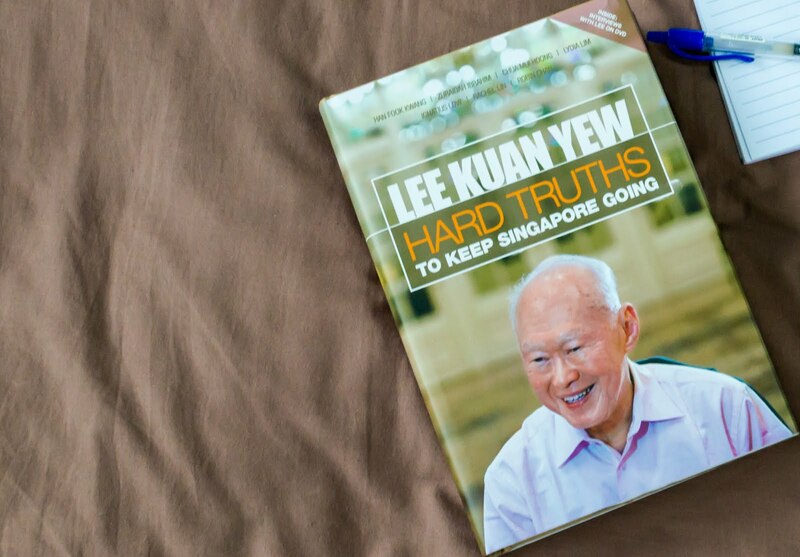 This book, by Mr Lee Kuan Yew, is one of my most loved books. While I should just share my thoughts after reading it, I want to also pen down the reason why I picked it up. In March '15, I went to Taiwan for a graduation trip with my friends. On the way to the hotel, upon knowing who we were, the taxi driver initiated a conversation about Mr Lee Kuan Yew. "It is the luck of Singaporeans to have him as our statesman and his achievements in bringing Singapore to where it is today", the driver explained. We nodded in agreement, for we knew that he played an important role but it was also at that point that I realized our generation knew little about this man. We learnt about his death the next day, 1 day into the trip. During a homestay with some Taiwanese, they brought up Singapore's efficiency in acting quick as compared to their country. Singapore isn't perfect, but hearing these praises about LKY, I can't help but feel grateful as a Singaporean for what we have. It was indeed a sombre moment as I watched on Taiwanese news, the thousands of people who came to send him off, drenched in the rain. I couldn't quite put my finger on the reason why I felt a sense of loss. People of my generation simply grew up in a stable environment, unlike the tumultuous times our forefathers went through. So it came as no surprise that when I came across the book at the bookstore, I knew I had to get one and read it. Here are my thoughts. Since we were kicked out of Malaysia, this city-state had only its people and its strategic port. We were so reliant on Malaysia for water. Singaporeans in that time rallied with LKY and his team because they saw hope. Today, we are becoming self-reliant in water. Today, we have a liveable and safe city. Today, we maintain good relations with other countries. Singaporeans have been able to travel far and wide. The pioneers recognized that we needed to be exceptional. Singapore can be prosperous, but we should never be complacent in ensuring we remain corrupt free and have its people working hard for the future. The different races and religions co-exist because we understand the vulnerable social fabric that will never be easily mended if we allow it to break. At the end of it all, this book has allowed me to see Singapore in a different light and be grateful. I feel contented. If we all feel contented, we will all be a happier bunch. Mr LKY managed to put across his lasting concerns, as well as on his personal side. I may disagree on some parts of the book which I shall not mention here, but that is beside the point. We can agree to disagree in the comments section. Despite differing views, do we not all want to see a better Singapore? I recommend this book as a Singaporean.